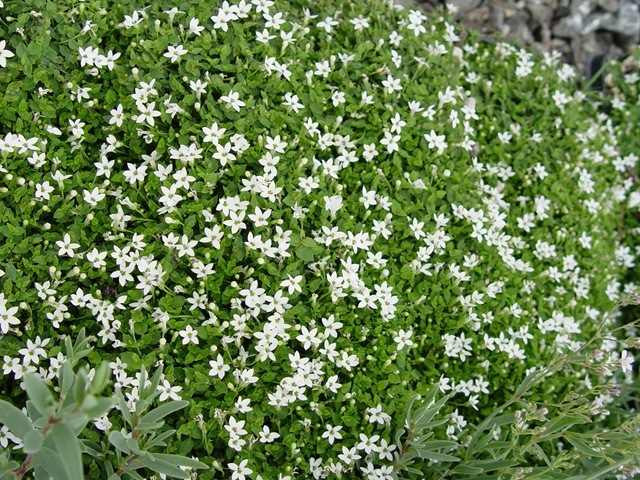 Super Star Creeper (Pratia pedunculata alba) has a profusion of starry white flowers in spring and deep green, rounded foliage spread by multiple branched stems above the ground. A dense mat is formed underground as well making it perfect for lawn replacement, patios and pond areas. 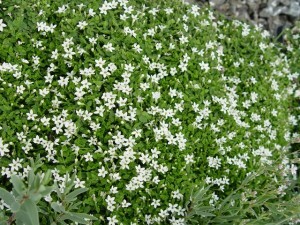 This little perennial will be a great addition to your lawn, landscape or fairy garden.